The E-Mei Mountain is in Sichuan province, in Central China. This region is marked by high mountains and is not easily accessible. For this reason, the area was a favourite hiding spot for the revolutionaries and rebels of past dynasties. Generals and hopeful future Emperors, often referred to as Tigers and Dragons, spent lengthy periods of time in these mountains, preparing their onslaught on the regime they planned to overthrow. 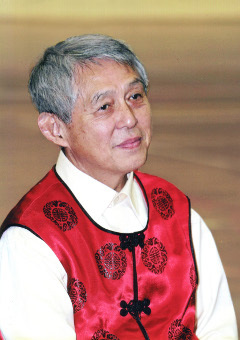 The 12 Daoyin of the E-Mei are a traditional Buddhist exercise system. About 1000 years ago a monk devised this particularly effective method of exercise to train those who were to fight against the ruling Emperor’s army; but these exercises were also used to treat the injuries suffered in combat, and bonesetters used the powerful Daoyin to improve their skills. The exercises are an excellent way to develop physical strength and stamina and thus are very well suited to martial artists. But the tonifying effect of the exercises means that they can be used to improve health and even to treat some diseases. The powerful force developed during the practice of the E-Mei Daoyin is also very useful for health and body-work, such as massage, etc. For optimum results, one needs to pay attention to develop the exercises one by one, and each individual exercise stage by stage. Then it is possible to open the body’s energy channels and meridians, enabling the practitioner not only to achieve a high level of physical energy but also to develop on a mental plane. 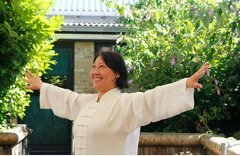 By practising E-Mei Daoyin we can discover the twelve meridians of the limbs by contacting the hands, fingers, feet and toes and activating all of the channels and meridians in the body. This helps to bring the energy of the organs into balance and harmony. E-Mei Daoyin exercises can improve health by developing auto-regulation of the body. This year Master Shen Jin will teach part 6 of the E-Mei system. You can also contact us here with any questions regarding this course.